There are a whole lot of women out there who are simply surviving each day. They have shelter, they have food, but . . . These characteristics that God intended for all His daughters are glaringly absent. Most women are functioning, but they’re certainly not thriving. They’d tell you so themselves. Here at Revive Our Hearts, we wake up every morning with this desire burning in our hearts: to help women thrive in Christ. Not only do we want this for each woman, we believe that: 1 thriving woman + 1 thriving woman + 1 thriving woman = A thriving culture. Everything we do is with the aim of helping women thrive in Christ—to really know Him, to trust Him enough to obey Him, to love and enjoy Him. Nancy DeMoss Wolgemuth has written nineteen books that have sold over 3 million copies and been distributed in eighteen languages. In addition to ReviveOurHearts.com, we have a blog for women, a blog for teens, a blog for leaders, and a website for Spanish-speaking women. Nancy DeMoss Wolgemuth's two programs, Revive Our Hearts and Seeking Him, air 1,887 times a day on more than 1,042 unique radio outlets. Oh, and every program has a corresponding transcript. Revive Our Hearts hosted its first international True Woman Conference in the Dominican Republic in 2015. The Ambassador Program is a strategic network of leaders around the nation (and world!) who are spreading the message of heart revival and biblical womanhood in their communities. Our forty (and growing) ROH and ANC Ambassadors desire to serve women's leaders, pray for them, and lift up their arms as they tirelessly pour out their lives on behalf of others! 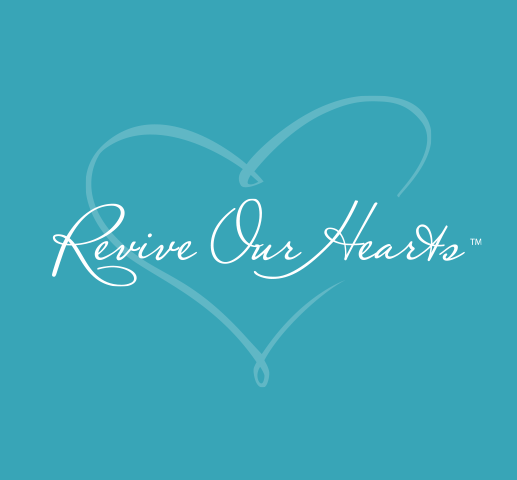 Revive Our Hearts was birthed following Elisabeth Elliot's retirement from the Gateway to Joy radio program. We have great respect and gratefulness for Elisabeth and her ministry. Read more about Elisabeth in this Revive Our Hearts tribute following Elisabeth's homegoing.